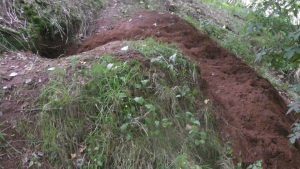 Badger setts tend to be found on banks (sides of roads, in quarries, streams, on slopes or small banks in hedgerows, etc.) though can also be found on flatter ground, in fields, tree trunks and so on. There is often a water source nearby – check streams and ponds, look for paths across fields, through fences and undergrowth. 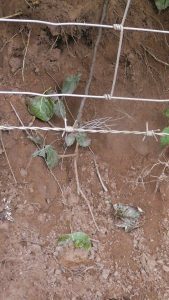 Setts can be easier to find just before spring as plant growth is low, but setts look less active at this time, paths less obvious. Entrances themselves are crescent shaped, large, normally with heaps of earth (spoil heap) leading to them. 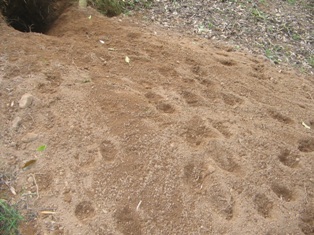 Look for paw prints in the soil and claw marks inside and around the entrance. 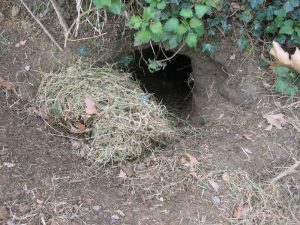 Bedding (like hay) may be pulled out of sett entrances to dry – another sign of an active sett – or there may be traces of bedding materials that have been pulled into the entrances. It is important to show that setts are active in case of future damage, so take photos, preferably with date and location. 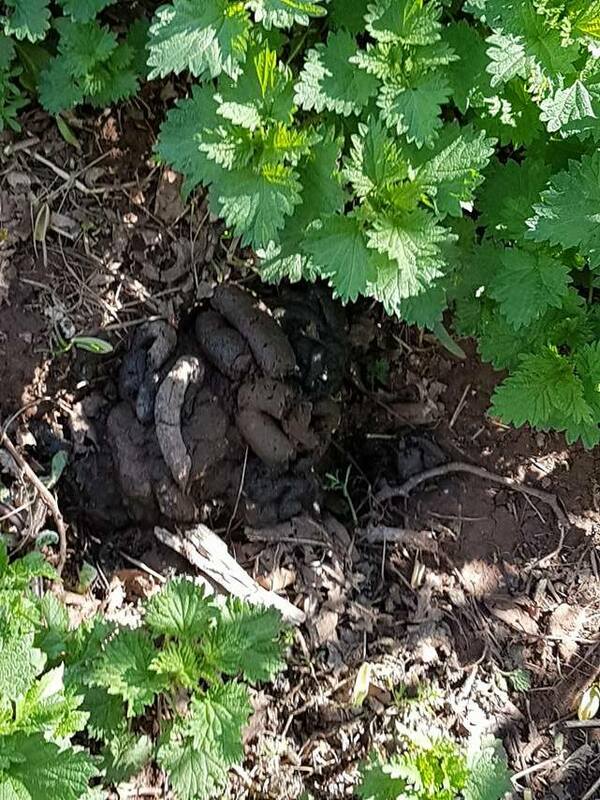 As well as latrines, you may see other signs of digging and scratching – badgers dig small holes to search for worms, bugs and roots to eat. 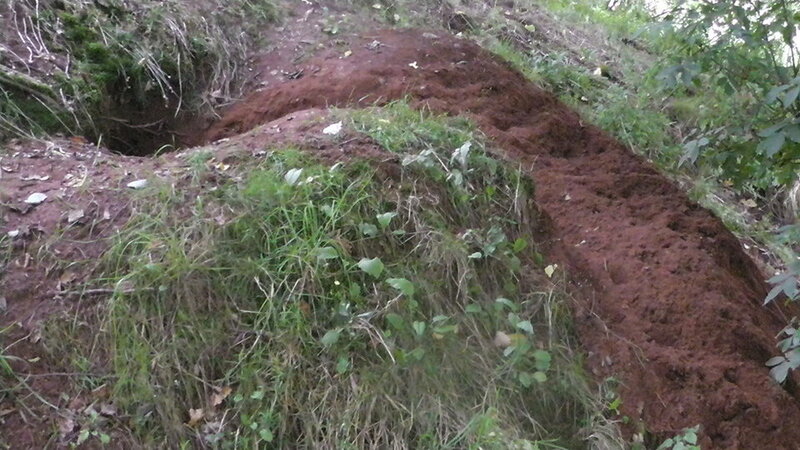 Some sett entrances will show natural subsidence or will have gradually filled with earth, leaves, etc. over time when not active. Look out for spade marks and obvious signs of blocking though as local foxhunts block setts to prevent foxes from escaping below ground during a chase. Farmers may also block setts, plough over them or flatten them – soft-blocking is relatively easy to undo, taking out clods of earth, branches and so on (make sure you get evidence and let the police know before unblocking anything) but hard-blocking is much harder. 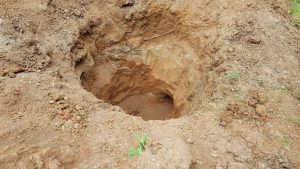 You may find parts of tree trunks shoved into holes or the ground flattened with machinery. 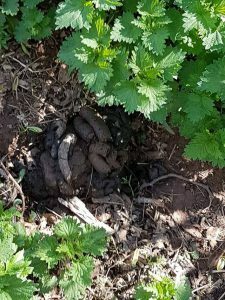 Call the police and film the area – it’s unlikely that you’ll be able to unblock the entrances yourself and some setts have been found gassed or with diesel poured into them in these circumstances and will be unsafe to unblock. You may also find active setts with ‘historic blocking’ where they have dug their way back in / out, spade marks still obvious. It’s worth noting and reporting for intel purposes. 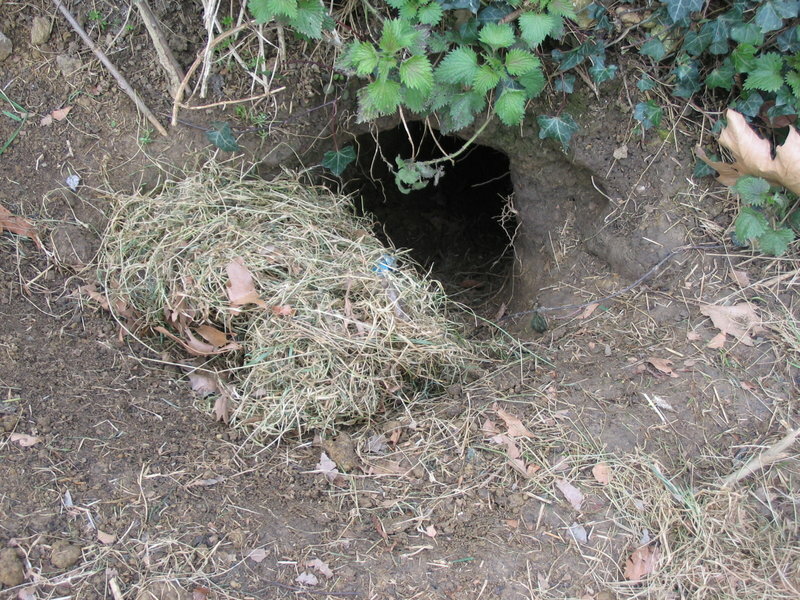 This picture (left) shows a hole dug by badger baiters when they were caught in the act. 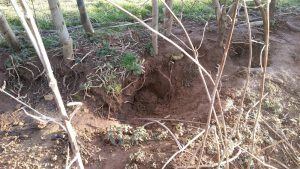 Hunt terriermen also dig into setts to get to foxes who have escaped and the holes will normally be filled back in again afterwards. 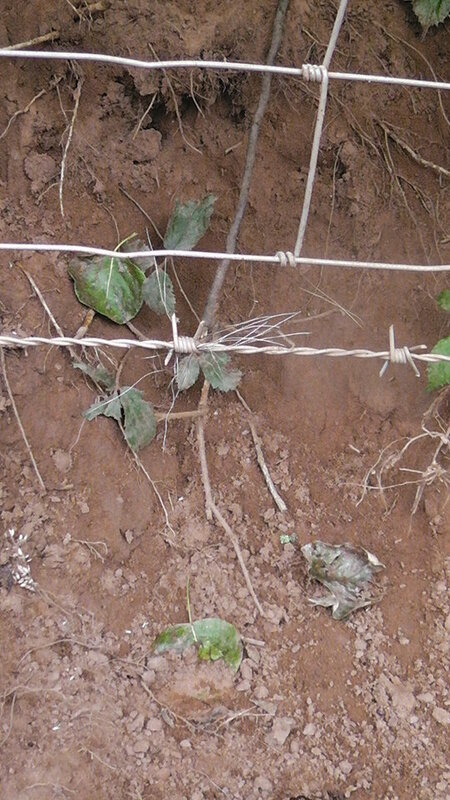 Look for areas of disturbed earth, spade marks and nearby blocked entrances (or nets over them). It’s not always easy to see until the ground has settled over time.